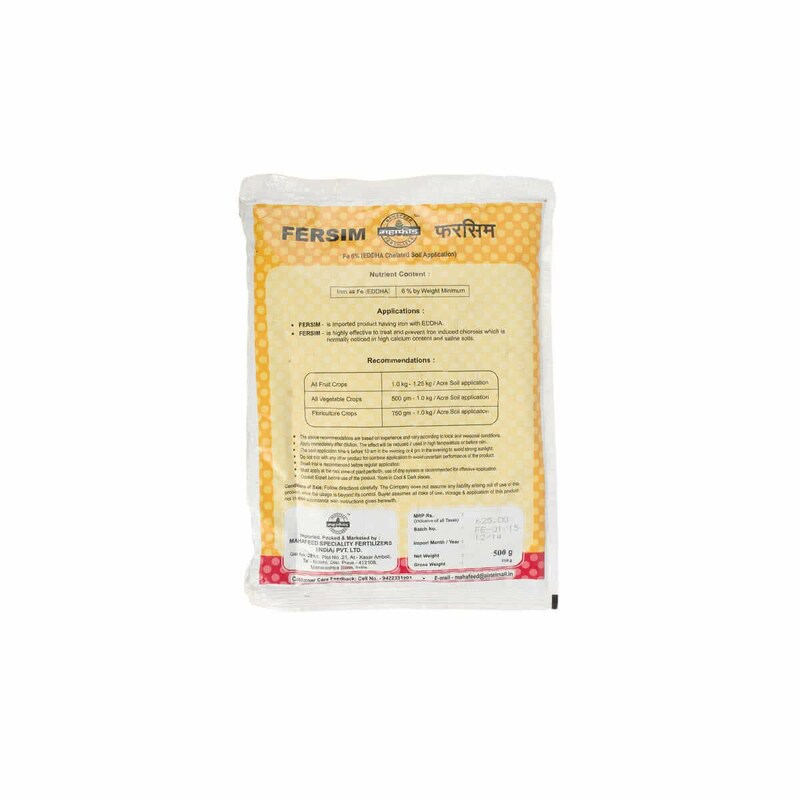 "Fersim Fe is highly effective in treating and preventing Iron-induced chlorosis which is typically noticed in high calcium content and saline soils." All Fruit Crops : 1 kg to 1.25 kg per acre soil application. 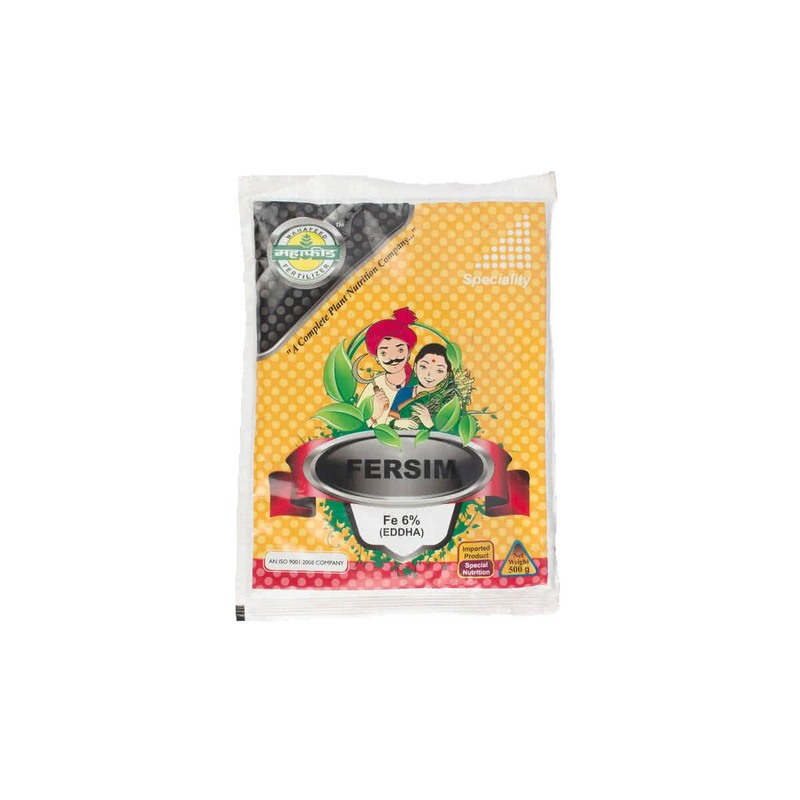 All Vegetable Crops : 500 gm to 1 kg per acre soil application. Floriculture Crops : 750 gm to 1 kg per acre soil application.